Engineers and technicians from Martin Engineering GmbH have been solving bulk material handling problems around the world for over 70 years and are available to provide expert advice and assistance on all of your bulk material handling questions and problems. Martin Engineering’s Air Cannons use precisely timed bursts of air to prevent material buildup on interior container walls and obstructions at discharge ports. Use the power of compressed air to keep the interior walls of kilns, silos, hoppers and chutes free of obstructions. Martin Engineering offers a wide range of air cannons that ensures you’ll find one that fits your needs, whether your application requires powerful bursts of air every few seconds to products that deliver shorter more frequent bursts. We also offer multi-valve products that discharge at up to five delivery points through pipes or hoses to accommodate tight spaces. Problems in material flow can bring an operation’s efficiency and productivity to a halt. Hang-ups in storage systems and accumulations in process vessels choke material flow while bottlenecks create costly reductions in equipment and process performance. Poor material flow raises maintenance expenses and drags profits down. 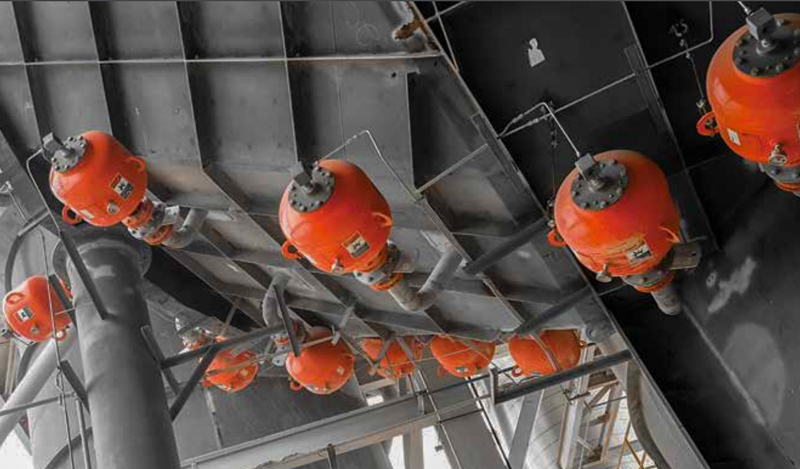 When bulk material builds up inside kilns, silos, bins, hoppers, chutes and other equipment and stops flowing due to obstructions and rat-holes, the best way to keep it moving is with an air cannon manufactured by Martin Engineering. Air cannons are highly effective with materials like coal, cement and aggregate, especially if they retain even small amounts of moisture and become sticky. Martin® Air Cannons supply a quiet but powerful release of compressed air that dislodges buildups and enhances the flow of bulk materials, to improve efficiency and maintain profitability. Since 1974, Martin® Air Cannons have been used around the world to prevent buildups and improve material flow. Martin Engineering remains the leader in the application of air cannon technology to overcome bottlenecks and boost the movement of material through high-capacity vessels. 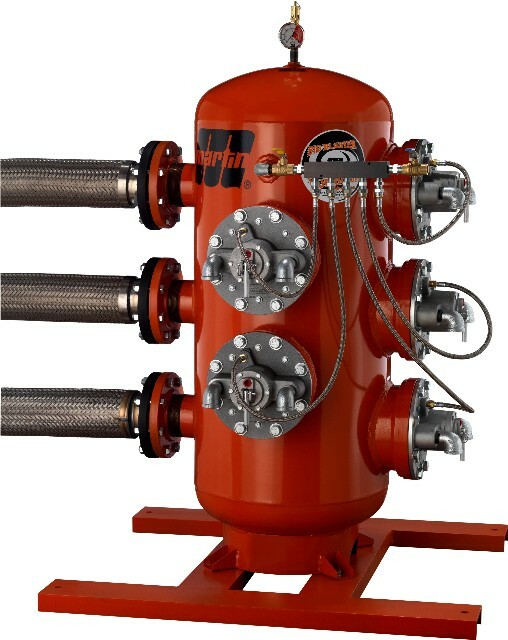 Using a single air tank with up to five independent valves, the Martin® Multi Valve Air Cannon improves flow at five discharge points.